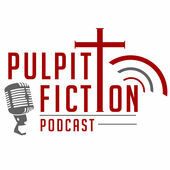 I have contributed the "Voice in the Wilderness" segment to this week's edition of the Pulpit Fiction podcast, which takes a look at the Revised Common Lectionary texts each week leading to the coming Sunday. This time around, my assignment was Luke 1:68-79, one of the texts for Advent 2C, Sunday, December 9th. You'll be able to listen at their website or on iTunes.